Loss of a person’s sense of smell can have a huge influence on one’s life. INXS’s Michael Hutchence grew depressed after losing his sense of smell due to a motorcycle accident. Loss of the sense of smell can occasionally cause phantosmia, where the brain overcompensates. A young guy experienced brain damage in a skateboarding accident, which left him without a sense of smell. Soon after the accident he started to experience smells that he knew were not there. He experienced days when he was overawed by the most unnatural and unpleasant smells, “smells from another planet”. But he also describes days that have been a combination of a slight sense of euphoria mixed with the delightful essence of passionfruit. Clearly there is a strong link between our sense of smell and our feelings. In the context of nuisance, the ongoing experience of an unpleasant odour can adversely affect a person’s physical and mental wellbeing. Community complaint and regulatory action can hamper and curtail business activities. Council offices can spend countless hours trying to find the cause of a vaguely described horrible stench in the local neighbourhood. Odour nuisance tends to be bad news for everyone involved. At Katestone we do a significant amount of work with industry, government and councils in the assessment of nuisance odour. We use dispersion models to predict levels of odour in the community, we coordinate odour sampling to help quantify the problem at the source and design solutions. We forensically examine historical complaints and meteorology to pinpoint offenders. 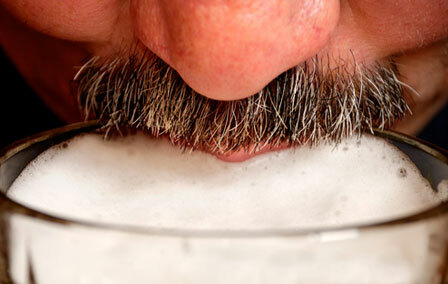 Beer tasting incorporates many of our fundamental senses including taste, smell, sight and touch. These elements combine when judging and assessing beers. 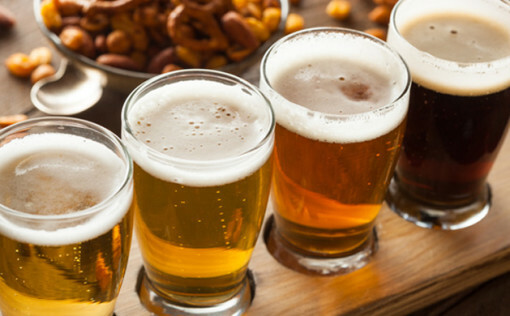 The science behind beer tasting is an interesting topic for Katestone as many of the fundamental reasons that beer tasting is a pleasant experience are inherently relevant in understanding why odours are perceived as a nuisance. As with beer tasting, understanding how the senses interact is vital to understand how an odour might be perceived as a nuisance to a person in the community. Apparently improvements in odour controls at the Guinness Factory lead to the locals complaining about the absence of its smell! Our beer tasting was a fun experience with some interesting beers tasted. The insightful and educational commentary from Dr Mark Hibberd left us all more informed about the science of odour, beer and beer judging. Mark commented that a key difficulty that we face in the odour field is the lack of common language to describe the things that we smell. We see this often in the descriptions of odour given by complainants: one person’s ‘sulfur’ or ‘rotten eggs’ is another person’s ‘cooked cabbage’. Thanks Mark for accepting our invitation to lead us in this beer tasting and for helping to make the evening a success.